A suspended course that tests balance and self-control. Linked to a double safety rope, we’ll cross the valley of Limarò on Tibetan and Thai bridges, facing a path unique in Italy, realized by exploiting the gorges, rocks and natural changes offered by the environment. 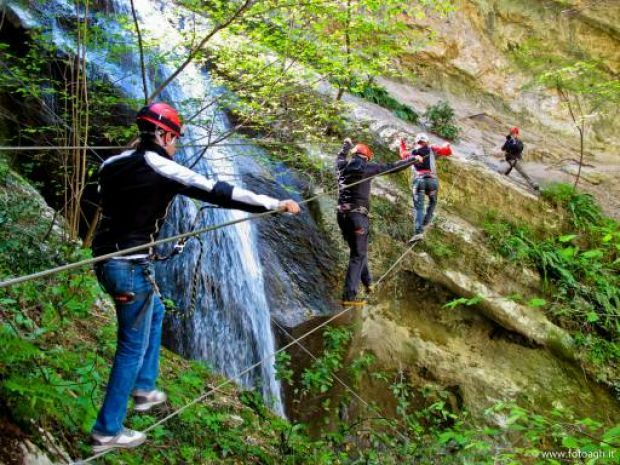 Facing the path doesn’t necessary requires special experience and sportive talents. 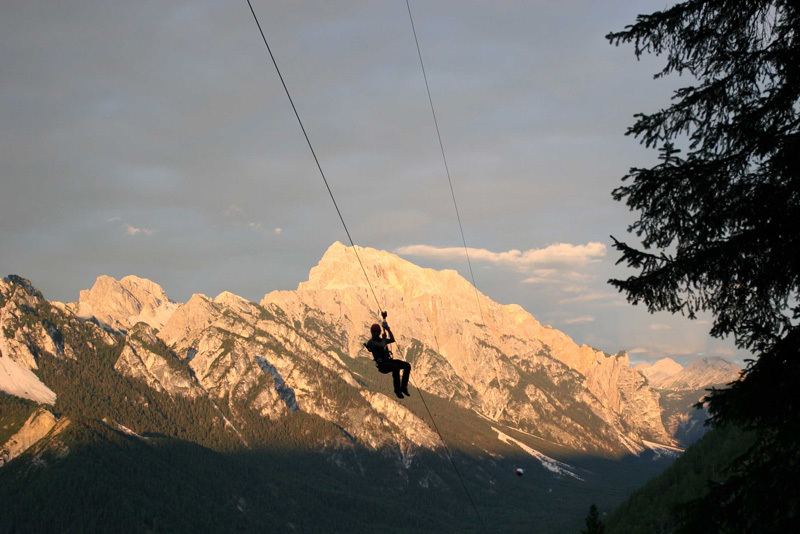 In fact, under the guidance of experts of the park you will experience the thrill of walking suspended. 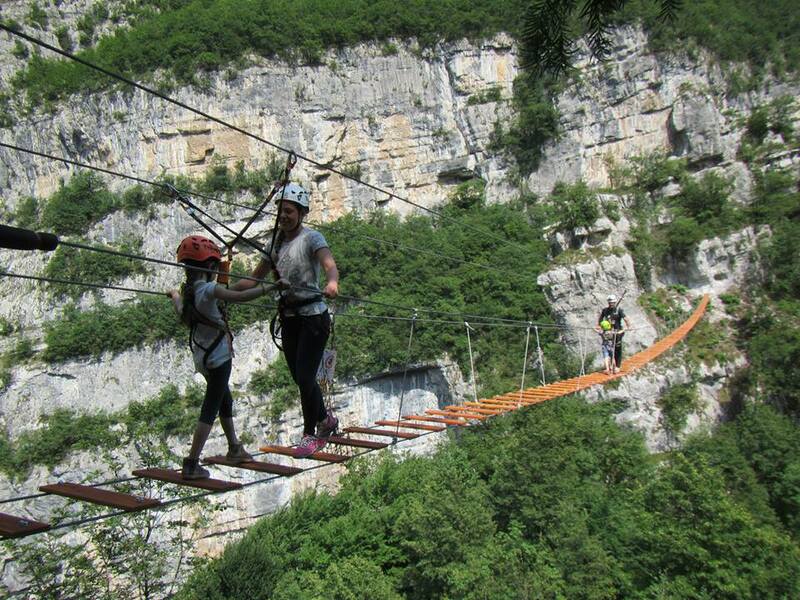 The bridge path ends on a small promontory that allows to enjoy a splendid vision of the valley. 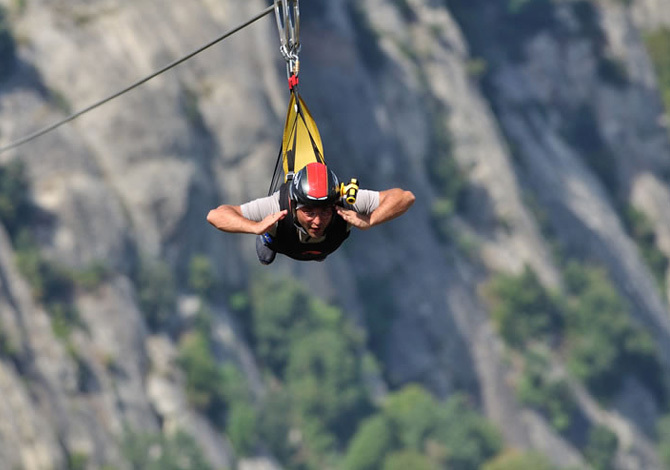 You can choose a path even more exciting: the air path of Zip Line. A steel cable suspended between two spurs of the mountain rock. A small support point over-looking the valley, a pulley and a harness and lots and lots of courage that will be paid off by adrenaline and beautiful, unforgettable emotions.